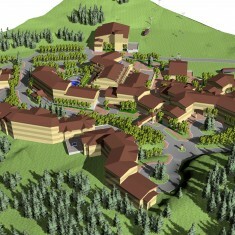 Mammoth Base | Mammoth Base | Ecosign Mountain Resort Planners Ltd. 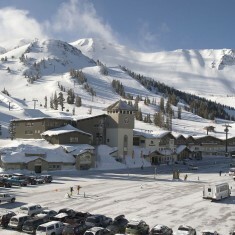 The Main Lodge Base Area is the highest and oldest skier staging portal at Mammoth Mountain. The new Mammoth Mountain Ski Area is proposing a land exchange with the United States Forest Service to facilitate redevelopment of the Main Base Area. The new village development plan is comprised of nine new buildings, including a three level parking structure, approximately 550 new overnight accommodation units (2,000 beds), a new Day Lodge, a 12,000 square foot Conference Facility, a new dedicated Children & Adult ski school & Race Centre Facility, a pedestrian oriented commercial/retail street and employee housing. 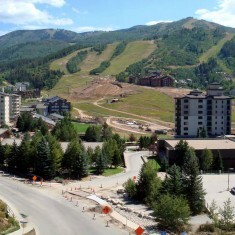 Demolition of a major portion of the existing day lodge and the race building will open up the entire base area, greatly expanding the snow front, providing direct access to the gondola and improving skier circulation and staging on Lifts 1, 6 and 11. 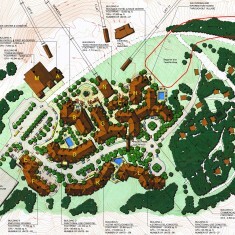 Construction of the new village on a raised (8’–12’) plaza allows for Mammoth’s significant yearly snow accumulation, the creation of a flush plaza/snow transition between the village and lifts and also accommodates underground service and loading access, selected skier services and parking below.